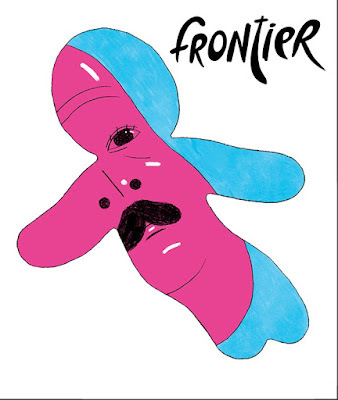 * Philippe LeBlanc writes a very personal review of Richie Pope's "Fatherson" contained in Youth In Decline's FRONTIER #13. * Sacha Mardou's ON BEING A WOMAN IN THE MANLY WORLD OF DANIEL CLOWES is the sort of long-form criticism that we need more of. * Kim Jooha's post on EUROPEAN ABSTRACT FORMALIST COMICS is an incredible repository of this sort of work and a primer as to what's going on. * Rob McMonigal talks about Tillie Walden's webcomic, ON A SUNBEAM, and features some of its amazing panels. * John Seven reviews Jessica Campbell's HOT OR NOT. * Nick Hanover on the new hardcover release of Jonathan Luna and Sarah Vaughn's ALEX + ADA. * Not small press, but some amazing comics criticism: Ray Sonne's APOLLO: THE FEMININE SUPERMAN is absolutely first rate writing about comics. * Tom K. and Jordan from Uncivilized Books are launching a new kid's comics imprint, ODOD BOOKS. Give their Kickstarter a gander and throw some cash their way. * Robert Tutton interviews Swedish Cartoonist Kim W. Andersson about his book, ALENA, and the horror genre. * Robin McConnell interviews NOAH VAN SCIVER and SETH resulting in a fascinating conversation between the three of them. * Glen Weldon's THE TERM "GRAPHIC NOVEL" HAS HAD A GOOD RUN. WE DON'T NEED IT ANYMORE. * Adam Kirsch reviews Michael Chabon's new novel, MOONGLOW. * J.A. Micheline's CRITICAL JAM #7: A RIGHT TO BE HOSTILE IN 2016. * Cornel West's GOODBYE, AMERICAN NEOLIBERALISM. A NEW ERA IS HERE. * Ijeoma Oluo's QUESTIONING SAFETY PIN SOLIDARITY REVEALED WHY I CAN'T TRUST WHITE PEOPLE. *Nick Hanover's THIS IS OUR FAULT: WHITE PEOPLE NEED TO STOP ASKING FOR EMPATHY AND FIX OURSELVES. * A Group of Editors over on Tablet have a post-election round-table discussion they title: IT'S "GIULIANI TIME" FOR AMERICA.